The Oklahoma Department of Transportation, Strategic Asset & Performance Management (SAPM) Division, Traffic Management Branch, prepared the 2016 Annual Average Daily Traffic Maps. It is a summary of traffic collected at "continuous" and "one day" traffic recorder locations on Oklahoma Highways in calendar year 2016. The traffic estimate shown follows the procedures outlined in FHWA’s "Traffic Monitoring Guide" and AASHTO’s "Guidelines for Traffic Data Programs". 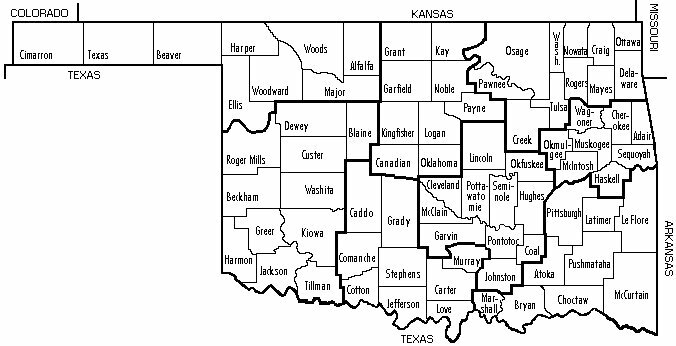 The maps contained herein have been updated to conform to the Oklahoma Highway Data File. Any errors found in this report should be brought to the attention of the SAPM Traffic Management Branch. The Traffic Management Branch is responsible for the assignment of AADT estimates. Contact them for AADT information not contained in this publication. An interactive AADT map can be found on ODOT's Map & Data Portal. The interactive AADT map contains count locations and traffic monitoring history in addition to the count data found on the PDF maps.